It’s the second day on the show floor at Pittcon 2019 and the fun is just beginning. Today’s standout solution is the Thermo Scientific SMART Automation workflow. Laboratories can access advanced analytical sample preparation, purification and separation solutions that facilitate the high-resolution analysis of steroid hormones and drugs of abuse. As purification, preparation and separation are essential steps in every analytical workflow, scientists across the life science spectrum are demanding improvements across each step and higher levels of confidence in any data produced. This new workflow and column provides rapid access to high-quality data, revealing insights that will help laboratories to make the world healthier, cleaner and safer. 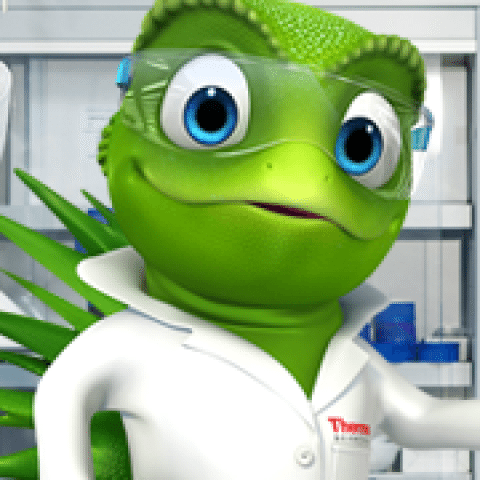 The Thermo Scientific SMART Automation workflow is a comprehensive, easy-to-use liquid chromatography mass spectrometry (LC-MS) based analytical solution that overcomes the inefficiencies typically associated with protein characterization techniques by bringing together the existing Thermo Scientific SMART Digest Trypsin Kit with Magnetic Bulk Resin option with the Thermo Scientific KingFisher Duo Prime system with automated magnetic bead technology for flexible, fast and reproducible peptide mapping. The combination of these solutions into the SMART Automation workflow enables pharmaceutical, bioanalytical or drug manufacturing laboratories to achieve trypsin digestion in one hour with high levels of recovery, sensitivity and data quality in a format that is compatible with automation. 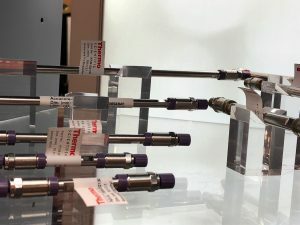 Also introduced at the show this week, Thermo Scientific Accucore Biphenyl LC Column provides robust and reliable separation of isomeric compounds by pharmaceutical, clinical research and forensic laboratories, such as drugs of abuse and steroid isomers, and is designed to avoid the challenges of unresolved peaks, long run times and insufficient lot-to-lot consistency traditionally introduced by C18 columns. The Accucore Biphenyl LC Column can support the optimization of critical parameters such as retention time stability and peak asymmetry while offering improved column lifetime and compatibility with 100% aqueous conditions for the fast and sensitive separation of aromatic and moderately polar analytes from a variety of sample matrices. See more exciting details about the solutions featured at Pittcon 2019 here.